When I read the bad reviews before booking I was a bit scared what's wrong with this hostel. But I can't agree with any of those. The woman at the front desk was super super friendly and helpful. The bathrooms were new and clean. The rooms were heated (because it was winter) and I felt really comfortable. For this money absolutely worth it!!! With a car, this location was perfect. Without, it's just a short walk to the university neighborhood and central shopping area. The staff were all friendly and the rooms clean. It was a bit noisy next to the stairwell, but did not impede sleep. Only room for improvement would be to open the terrace before 10 AM. Colorful place. We stayed in a private room with bathroom. The location is great! They clean the room everyday, and provide clean towels as well. There is a kitchen were you can cook, eat or watch TV, however it opens from 8am until 11pm, sometimes is a problem when you have early buses or tours. Our room only had one window in the ceiling, but it did not bothered us. Overall, a comfortable stay. About 5 min walk from the square and 15 from the train/bus station. Not a bad hostel at all, good standards are evident across the board:- The kitchen and bathroom areas are perhaps a little small if the hostel is fully booked and no breakfast, but this can easily be overlooked. The hostel attracts genuine and interesting array of travelers, so very social if you are by yourself. I was only here for one night but I would not hesitate to book for a longer period if I find myself in Catania again. Clean place, nice staff even though sometimes it was difficult to communicate with them in English. The kitchen was well equipped. The bottom beds in the 12 bed rooms are not very comfortable to have since the top bed is so low that every time you get up you have to be careful not to bump your head on the top bed. Also, the price for the bed varies depending on which website you book your bed on. 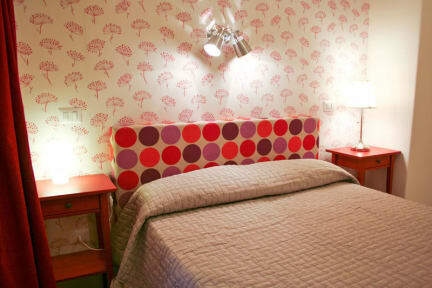 Definitely the best value hostel in Catania. Nice comfortable stay for 5 nights. Easy to get to main station for day trips out. Residents staying there snore loud and there’s lots of noice from clubs on the weekend. Everything was always clean and tidy. 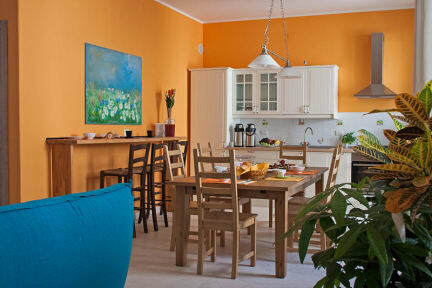 The kitchen is big and fully equipped - great for budget travellers. The security was questionable. Things went missing quite often, especially food. The staff weren’t v responsive about it. Overall a good stay but watch your stuff! You get what you pay for at this hostel, as it doesn’t feel very clean nor welcoming yet indeed is a bed to sleep in. Guests keep to themselves in the huge rooms packed with many beds, and the place is a bit removed from the main parts of Catania. Lockers for large bags are not offered. Ultimately a good place for budget travelers, but I’d recommend looking elsewhere if you’d like a more welcoming, cleaner hostel vibe. BED BUGs, please do not infect yourselves. I spent next 2 days cooking my bags/clothes in the laundromat. 10 bed dorm was infested with them. I have many photos as evidence. When I showed the staff they yelled at me saying I brought them here, no refund....defeated, humiliated, feel abused. Locker/boxes so small - cannot fit your luggage in them. (Bed bugs inside them also) I waited from 3am to 8am for the staff to arrive to inform & try get a refund. common areas are locked-up during night!